Details: Hanover are one of the country’s leading experts in downsizing, with over 50 years’ experience and a trusted national reputation. 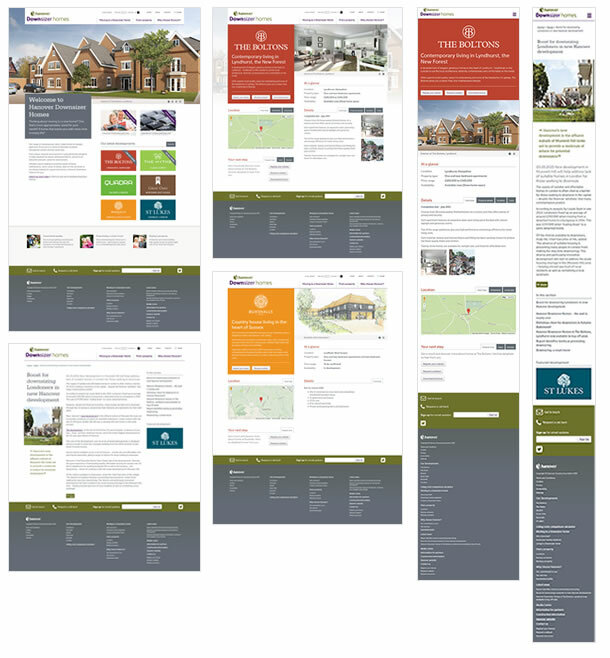 Downsizer Homes are spacious, contemporary, tailor-made homes exclusively for people over 55, and Hanover needed a new website for this exciting offering to target a different audience. Verasseti, who are experts in proving software solutions, had previously worked with Hanover on other projects and were brought in to produce the new website. I worked closely with both teams to design and build a modern, responsive front-end user interface to meet their aspirational needs. The front-end utilises the Bootstrap framework and supporting JQuery, giving a rich user interface including image sliders, lightboxes, video, Google Maps and StreetView and Tabs etc, all of which are fully responsive. The site also leverages social sharing and has email newsletter signup integration.